There is a tendency for investors to focus their attention and investment dollars on assets located within the United States. This tendency is well documented and is referred to as Home Country Bias. People are generally more comfortable with the familiar and there is a certain sense of safety that comes with investing in what you recognize. The fact that the U.S. market has performed much better than its international counterpart in recent years further reinforces investor preference for domestic assets. Is this lack of international exposure wise? Or are these investors missing out on a significant opportunity by not allocating (more) internationally? A strong argument can be made for maintaining a sizable allocation to international stocks. The benefit can generally be boiled down to a reduction in portfolio risk, while maintaining or even improving the expected return. The reduction in portfolio risk is primarily a function of diversification. The behavior of the various stock markets across the globe will differ based on their own set of circumstances, each with unique growth prospects, fiscal and monetary policies, regulatory framework, and tax structures. Globalization has increased the tendency for different markets to behave in similar fashion, but they remain far from perfectly correlated. In normal market conditions certain countries will often zig, while others zag. The chart below demonstrates the impact on portfolio risk of adding international exposure to an all U.S. stock allocation. The X axis represents the portion of the portfolio allocated internationally, and the Y axis reflects the degree of risk reduction(1). As you can see, even a small allocation to non-U.S. stocks has historically reduced portfolio risk. This benefit increases as the allocation expands, with the maximum benefit generally achieved by allocating 25-40% of the stock exposure to non-U.S. companies. Beyond this level the benefit begins to erode as the portfolio becomes overly concentrated in non-U.S. stocks, which are more volatile on a standalone basis. Source: Morningstar Direct and DFA. U.S. stocks represented by the Russell 3000 TR index. International stocks represented by the MSCI EAFE NR Index from 1/1979 through 12/1998, and the MSCI ACWI ex US from 1/ 1999 through 1/ 2019. 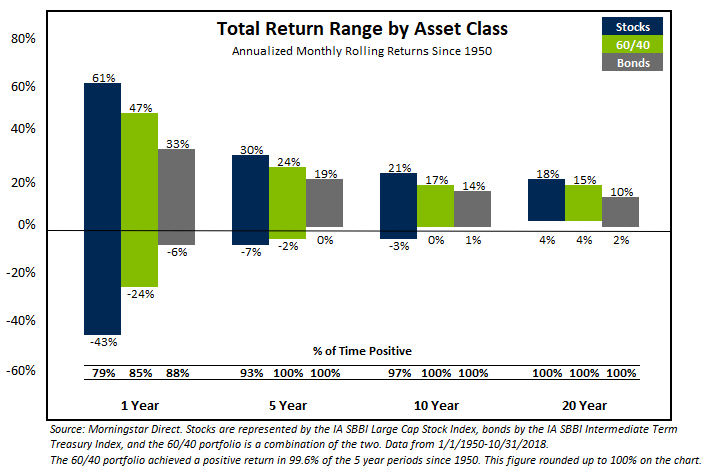 Returns based on monthly data, and the blended portfolios were rebalanced monthly. Risk was represented by standard deviation (annualized). U.S. stocks have outperformed international stocks for much of the period following the 2008 financial crisis. The scale of the recent outperformance in terms of time and degree can easily lead investors to believe that this is the norm, but is this belief justified? To answer this question, we looked at the relative performance between U.S. and international stocks on a rolling five-year basis going back as far as we have data. The chart below reflects the results of this analysis, and clearly illustrates the relative performance between the two are cyclical. There have been several extended periods over the last 40 years where international stocks handily outperformed the U.S. market. Source: Morningstar Direct and DFA. U.S. stocks represented by the Russell 3000 TR index. International stocks represented by the MSCI EAFE NR Index from 1/1979 through 12/1998, and the MSCI ACWI ex US from 1/ 1999 through 1/ 2019. Returns based on monthly data. If we know international markets have outperformed in the past, do we have reason to believe they could again outperform in the future? The key to this question could lie in the relative valuation between the two. Valuation is a measure of how cheap or expensive a stock (or entire market) is and is one of the best predictors of return over the long run. It is generally quoted in terms of the price paid for a unit of some fundamental figure, such as earnings. In simple terms: the lower the price you pay for an asset, the better the chance it is going to deliver an attractive return. Finally, relative valuation simply compares how cheap or expensive one investment is relative to another. The chart below applies the relative valuation technique to the comparison of U.S. vs. international stocks(2). The middle grey bar indicates the level where the two alternatives are equally valued. When the green line is above the top grey line, international stocks are considered expensive. They are considered cheap when the green line is below the bottom grey line. As you can see, international stocks are currently near the cheapest levels relative to U.S. stocks in 18 years (as far back as we have data). This provides a sound basis to expect higher returns from international stocks over U.S. stocks moving forward. Source: Morningstar Direct. Valuations are based on an equally weighted composite of price/book value, price/earnings, price/sales, and price/cash flow. The chart illustrates the ratio of the international composite over the domestic composite. U.S. stocks were represented by the Russell 3000 index, international stocks were represented by the MSCI EAFE index. Data from 1/2001 to 12/2018. Gaps in the green relative valuation line are due to missing/inconsistent data. While valuation is arguably the best predictor of long-term returns, it unfortunately does not tell us much about what is going to happen in the coming days, months, or even years. Markets can and will stay out of balance for extended periods of time. A second look at the cyclicality of returns chart, and you can see the outperformance of one market vs. the other is highly variable in terms of both duration and intensity. Like gravity, valuation should ultimately pull the market back toward balance, even if it takes a long time to do so. Though many U.S. based investors exhibit Home Country Bias, there are compelling reasons to consider and/or maintain a meaningful allocation to international stocks. Through the benefit of diversification, adding international stocks can reduce fluctuations in portfolio value. While investors exhibiting Home Country Bias have been rewarded with strong performance in the U.S. recently, this relative performance has historically been cyclical. The attractive relative value provides us with a reason to expect international stocks to outperform in the future. Risk in this instance is defined as the standard deviation of returns. The reduction in risk is measured by the spread between the standard deviation of the various blended portfolios and the Russell 3000. The Y axis of the relative valuation chart can be interpreted as the discount on buying international stocks vs U.S. stocks. Over the measurement period the price paid for international stocks has average 74% of the price paid for U.S. stocks (based on the equally weighted composites of the four price multiples: P/E, P/B, P/S, P/CF). As of year-end 2018 the price paid for international was 65% of the U.S. price, meaning you can buy international stocks much more cheaply then you have been able to historically. 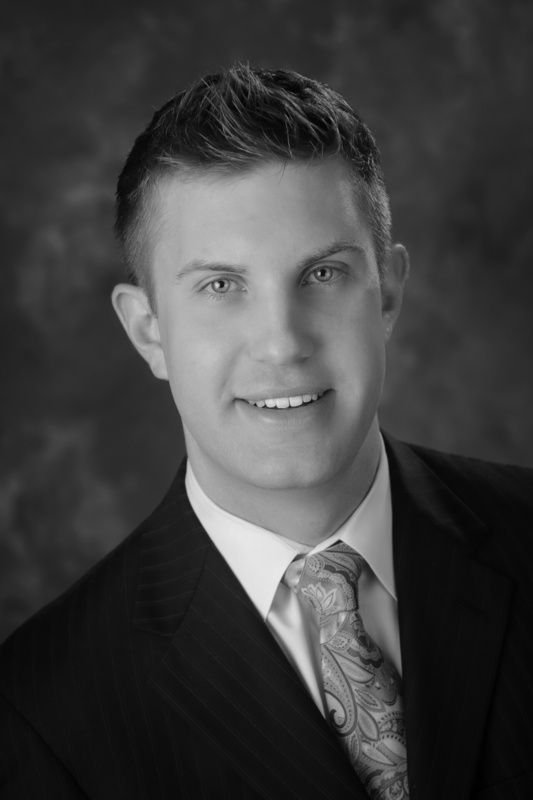 Josh Jenkins is a Senior Portfolio Manager & Head of Research at Lutz Financial with over eight years of investment experience. 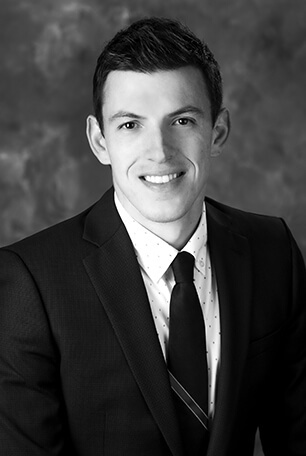 He is responsible for assisting clients in the construction, selection, and risk assessment of their investment portfolios. In addition, Josh will provide on-going research and trade support. Market sentiment has been as volatile as stock prices in 2018 and there is an abundance of storylines impacting each. Investors spend a significant amount of time fretting over things like trade tensions, interest rates and inflation, but these macro variables are massively complex and impossible to correctly forecast consistently. To complicate matters further, even if you do make a correct forecast it doesn’t mean the market will respond in the way you expect. Instead of getting swept up by the narrative of the day, it’s better for investors to focus on what they can control. With this in mind, here are three things all investors should know. The range of returns is very wide for the one-year window, but shrinks as you expand the measurement period. The chances of generating a positive return increase as you expand the measurement period. Investors with a long investment horizon need not care about the day-to-day or even year-to-year gyrations in the market. Looking back on nearly seventy years of history, there has never been a twenty-year period where stocks, bonds, or a balanced portfolio have posted a negative return. I’d add a generic disclaimer: anything is possible in the future and there is a first time for everything. Even so, this is very impressive, considering the first twenty-year period in the analysis (the twenty years ending January 1950) included the majority of the Great Depression and World War II. You don’t have to have a twenty-year horizon to participate in the market. Even the intermediate five and ten-year periods have an excellent track record of both bonds and balanced portfolios batting a thousand. While stocks did not perform perfectly, they still delivered a gain 93% and 97% of the time for the five and ten-year periods respectively. Interestingly, all of the ten-year losses for stocks were associated with the infamous “lost decade”—the period sandwiched between two extreme and unusual market events: the height of the technology bubble in the late 1990’s and the trough of the great recession in the late 2000’s. Though stocks were positive nearly 80% of the time over a one-year window, the wide range of outcomes highlights the importance of liquidity. The portion of the portfolio that needs to be quickly converted into purchasing power should consist of cash and bonds. When this is not the case, an investor risks becoming a forced seller. Volatility alone does not lead to a permanent impairment of capital, being forced to sell stocks after a downturn does. 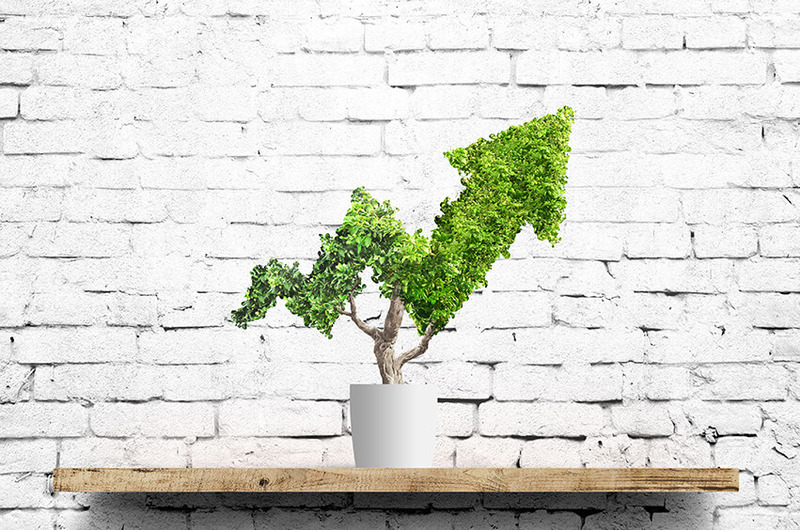 When volatility picks up in the market, many investors begin to think about selling out of risky assets and waiting in cash for the opportunity to reinvest when things have settled. While this strategy has intuitive appeal, there is a catch: It is virtually impossible to do it profitably. There are many factors that contribute to the futility in trying to time short-term market movements. Consider the initial sell decision: The desire to migrate to safety is generally associated with recent, and often dramatic, downward market movements. This desire for safety often equates to selling at or around a near-term low… not a good start. Frequently, these volatile periods do not involve steady price declines that occur in a linear fashion. Rather they are punctuated by violent moves both higher and lower. By way of example, consider October 2008, the worst month for U.S. stocks over the last thirty years. While many people carry visceral memories of that period, few probably recall that on two different occasions that month the market returned over 10% in a single day! 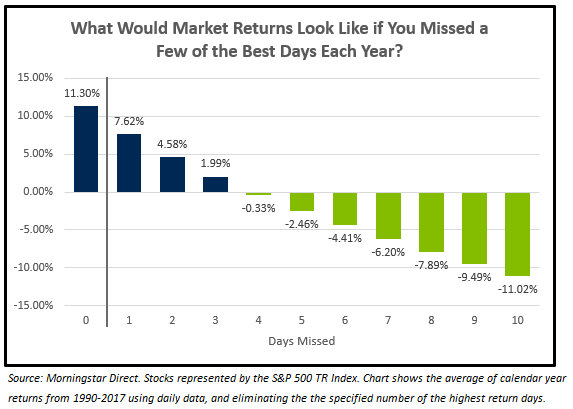 The chart below looks at the average calendar year returns for the S&P 500 from 1990 to 2017, as well as how your investment outcome would change if you missed a few of the largest returning days each year. A buy and hold investor would have received an average yearly return of 11.3%, not bad considering this period contains two of the most dramatic market drawdowns in U.S. history. Had you missed the single best day each year, your return would be reduced by a third to 7.6%. Miss four days, your average return becomes negative. Miss ten and stocks would have declined each year an average of -11.0%. Of course, this is a simple way of looking at things. Presumably, if you sell when prices are declining and that volatility happens to continue, though it often does not, then you may avoid some bad days in addition to the good. A major issue with this method is you still need a trigger to get back into the market, which for many people equates to seeing a recovery in prices. Now you have sold after losses and bought after gains. On average, the market delivers a gain over just four days during the year and trades sideways the rest of the time. This realization is shocking to many. When viewed from this perspective, the pressure to not miss one of these days is high. Bottom line, don’t try to time the market and voluntarily become a forced seller. A similar analysis as the one used above for market timing can be applied to diversification. The idea is straightforward. Investors that choose a concentrated approach to investing face a high degree of pressure to pick the right stocks. Look no further than the explosive growth in index funds to see that picking the winners is no easy task, even for the professionals. In the absence of decades of index constituent data, I borrowed from a recent Morningstar article(1) and an academic paper(2) focused on the topic. 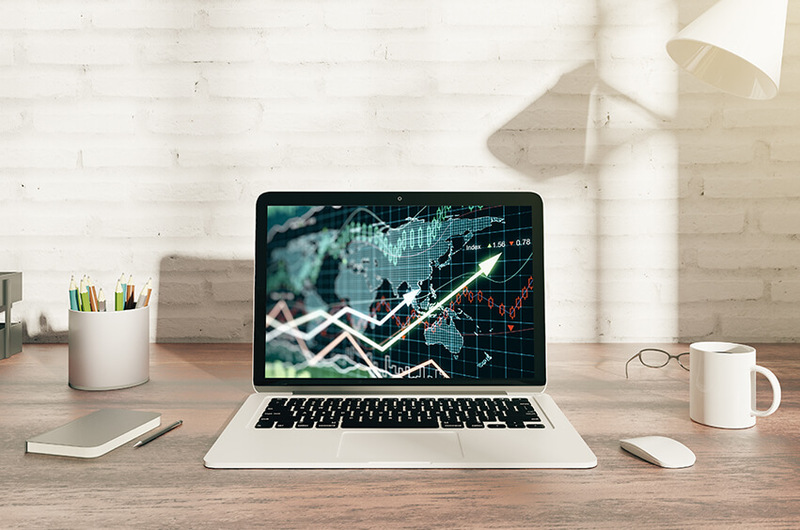 The paper, published by Arizona State University, concluded that concentrated portfolios are likely to underperform the broad market over time. The cause? A small subset of stocks account for the majority of the gains. Sound familiar? The author analyzed returns going back to 1926 and found that roughly 4% of the best performing stocks accounted for all the wealth generated by the market over time. The other 96% of stocks essentially broke even. To not own one of these star stocks risks missing out on tremendous gain. In many ways, diversification within your stock allocation is not about limiting the downside risk of any one company. Instead, it’s about maximizing the number of companies where you can participate in the upside. At the end of the day, your financial success or failure is not going to depend on forecasting macro events. The keys to your success will depend on devising and adhering to a sound financial plan. A good plan will balance near-term spending needs with long-term capital growth or preservation. It will keep you invested, even when doing so is uncomfortable. Finally, it will be diversified, ensuring that you participate in the wealth generated by the next crop of top performing businesses. Bessembinder, H. (2017). “Do Stocks Outperform Treasury Bills?” Department of Finance, Arizona State University. Please remember that past performance may not be indicative of future results. Different types of investments involve varying degrees of risk, and there can be no assurance that the future performance of any specific investment, investment strategy, or product (including the investments and/or investment strategies recommended or undertaken by Lutz Financial), or any non-investment related content, made reference to directly or indirectly in this blog will be profitable, equal any corresponding indicated historical performance level(s), be suitable for your portfolio or individual situation, or prove successful. Due to various factors, including changing market conditions and/or applicable laws, the content may no longer be reflective of current opinions or positions. 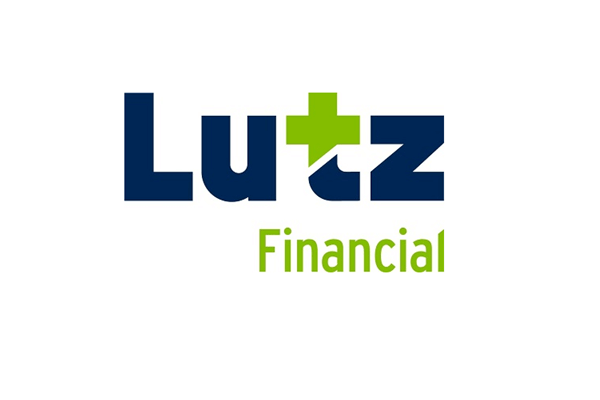 Moreover, you should not assume that any discussion or information contained in this blog serves as the receipt of, or as a substitute for, personalized investment advice from Lutz Financial. To the extent that a reader has any questions regarding the applicability of any specific issue discussed above to his/her individual situation, he/she is encouraged to consult with the professional advisor of his/her choosing. 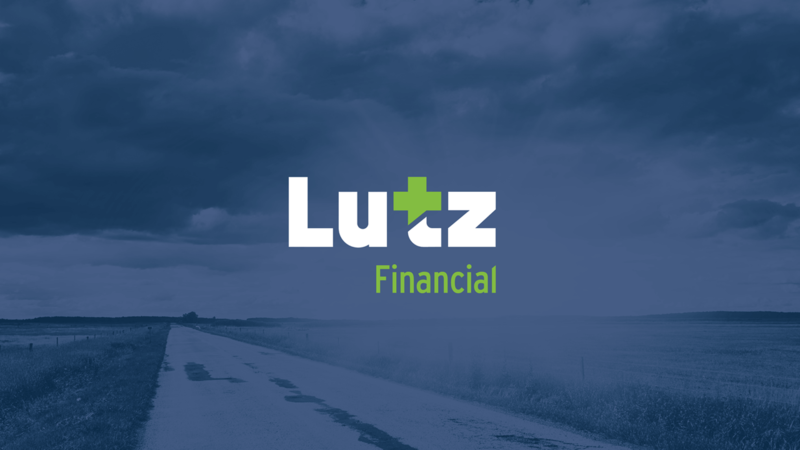 Lutz Financial is neither a law firm nor a certified public accounting firm and no portion of the blog content should be construed as legal or accounting advice. A copy of the Lutz Financial’s current written disclosure statement discussing our advisory services and fees is available upon request. After recently hitting an all-time high, the U.S. stock market has experienced a return to volatility. 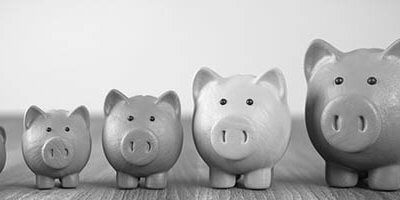 While it’s perfectly natural to be uncomfortable watching the prices trend lower the way they have, it’s important to remember gyrations in a given week, month, or even year are generally not going to impact your financial plan and long-term goals. Still, we felt this was a good opportunity to reach out and let you all know what we are thinking. Last year was smooth sailing for investors as the market steadily marched higher with virtually no volatility. That experience was highly unusual, however, as the table below illustrates. 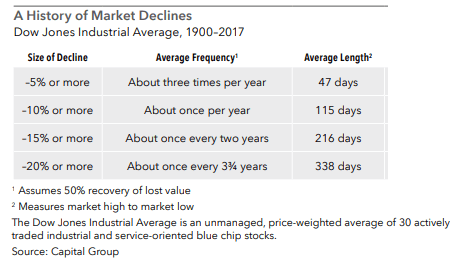 Based on a study from the Capital Group, the stock market experiences a decline of -5% or more three times a year on average, and a -10% decline once a year. What we are experiencing today is normal, the uninterrupted gains of 2017 were not. After an extended period without a meaningful pullback, it’s easy to become complacent. When the market finally does retreat, it can feel like a shock to the system. The financial media certainly does not help the situation. Their business is predicated on attracting viewers, and perpetuating fear is extremely effective at doing that. The truth of the matter is the market can sometimes rise too far too fast. When this happens, prices need to correct and reset for future gains. The beginning of this year offers a great example of this. Stocks went gangbusters in January, dipped in February and March, then rebounded and steadily moved to new highs. While we know declines are an inevitable part of the market cycle, we don’t know how long they will last, or how far prices will fall. It is okay not to know these things, because nobody else knows either. The important thing is having a plan in place for when they arise. When it comes to building and maintaining wealth, investors are often their own worst enemy. Rather than execute decisions based on thorough analysis, they have knee jerk reactions based on fear and greed. Everyone is susceptible to this pitfall – it’s the result of thousands of years of evolution. Our ancestors living in caves would not have survived long enough to procreate if they stopped to do a S.W.O.T. analysis each time they sensed danger. The fight or flight response kept them alive. While these emotions can keep us from physical danger, they often lead to poor decisions when it comes to investing. The chart below from J.P. Morgan illustrates the conclusion of the prominent DALBAR study, which measured investor returns over a 20-year period. The result is not pretty. The average investor (orange column) earned just 2.6%, much lower than the funds they were investing in! The underperformance is largely the result of poor timing decisions, such as chasing recent winners and dumping recent losers. It may seem obvious that buying high and selling low is a poor strategy, but our raw desire to have more money than our neighbor, or to protect our life savings from decline can trump rational thought. A disciplined investor that was able to buy and hold a balanced portfolio like the 60/40 or 40/60 on the chart would have more than doubled the return of the average investor. Compounding a reasonable return over the next 20 years is how you build wealth, not trying to pick the next Amazon. The best thing for investors to do is tune out the noise from the day to day gyrations in the market. Understand there will be bumps (sometimes large ones) in the road from time to time. Remember this is normal, healthy, and often offers a good opportunity to buy at a discount or harvest some losses. Keep emotions under control. Don’t become too excited when things are going well, or to down when things look dire. The best advice anyone can give, is to build a sound plan and then stick to it. Please remember that past performance may not be indicative of future results. Different types of investments involve varying degrees of risk, and there can be no assurance that the future performance of any specific investment, investment strategy, or product (including the investments and/or investment strategies recommended or undertaken by Lutz Financial), or any non-investment related content, made reference to directly or indirectly in this newsletter will be profitable, equal any corresponding indicated historical performance level(s), be suitable for your portfolio or individual situation, or prove successful. Due to various factors, including changing market conditions and/or applicable laws, the content may no longer be reflective of current opinions or positions. Moreover, you should not assume that any discussion or information contained in this newsletter serves as the receipt of, or as a substitute for, personalized investment advice from Lutz Financial. To the extent that a reader has any questions regarding the applicability of any specific issue discussed above to his/her individual situation, he/she is encouraged to consult with the professional advisor of his/her choosing. Lutz Financial is neither a law firm nor a certified public accounting firm and no portion of the newsletter content should be construed as legal or accounting advice. A copy of the Lutz Financial’s current written disclosure statement discussing our advisory services and fees is available upon request. If you are feeling uneasy about your investment performance during these periods of volatile market activity, download this video, “Tuning Out the Noise” to help remind you of the importance of remaining disciplined during uncertain times. COPYRIGHT 2018 RPAG. ALL RIGHTS RESERVED. Dimensional US Small Cap Index was created by Dimensional in March 2007 and is compiled by Dimensional. It represents a market‑capitalization‑weighted index of securities of the smallest US companies whose market capitalization falls in the lowest 8% of the total market capitalization of the Eligible Market. The Eligible Market is composed of securities of US companies traded on the NYSE, NYSE MKT (formerly AMEX), and Nasdaq Global Market. Exclusions: Non-US companies, REITs, UITs, and investment companies. From January 1975 to the present, the index also excludes companies with the lowest profitability and highest relative price within the small cap universe. Profitability is measured as operating income before depreciation and amortization minus interest expense scaled by book. Source: CRSP and Compustat. The index monthly returns are computed as the simple average of the monthly returns of 12 sub-indices, each one reconstituted once a year at the end of a different month of the year. The calculation methodology for the Dimensional US Small Cap Index was amended on January 1, 2014, to include profitability as a factor in selecting securities for inclusion in the index. Source: Dimensional Fund Advisors LP.There is no guarantee investment strategies will be successful. Investing involves risks including possible loss of principal. Diversification does not eliminate the risk of market loss. Is it Time to “Beary” This Bull Market? It was Friday, March 6, 2009, and the stock market was in the midst of a six month freefall. In the last six months the Fed had stepped in and bailed out the banking system with the TARP program, Bear Stearns had been bailed out, the government salvaged Freddie Mac and Fannie Mae who guaranteed over half of the nation’s mortgages, and Lehman Brothers, the fourth largest investment bank in the United States, declared bankruptcy. That day the Dow Jones and S&P 500 hit 12-year lows on the heels of an extremely bleak February Jobs report which signaled 4.5 million jobs had been lost to that point. But something strange happened that afternoon, the stock market clawed its way back in the last hour of trading to the point where the Dow finished up 0.4% and the S&P 500 ended up 0.1% on the day. There were no bells or whistles to suggest this was the sign of more rosy things to come, but we know now the Great Recession would hit an absolute market low on Monday, March 9th. This month marks the 8-year anniversary of the current bull market since that time. 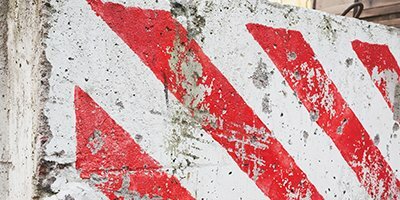 As we sit here in March 2017, many investors are now wondering, “When will this market run come to an end?” This article will look at past bull and bear markets and argue that no one really knows the true answer to this question. *Data Source: Robert Shiller’s data library. Calculations by Newfound Research. Bull markets are defined from the lowest close reached after the market has fallen 20% or more to the next market high. Bear markets are defined from the last market high prior to the market closing down at least 20% to the lowest close after it’s down 20% or more. Monthly data is used to make these calculations. Past performance does not guarantee future results. This chart illustrates that since 1903, there have been 12 bull markets and 6 that have lasted longer than the current run. Additionally, 5 of those market runs have been much steeper than the current climb of about 250%. 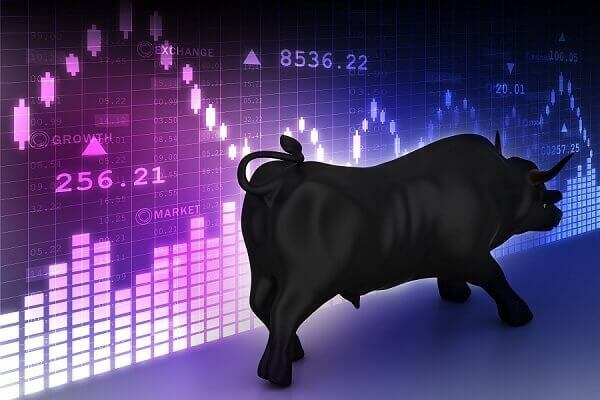 Bull markets, in general, tend to be longer and more pronounced; whereas bear markets tend to be much shorter in length and less pronounced in depth. One metric to look at is where current markets are valued in relation to price. Due to the recent run in the equity markets, the Price/Earnings ratio of the S&P 500 is what we would call on the high side of historical averages, but it is not out of line and certainly nowhere remotely near levels seen in the late 1990s at the end of the tech boom. With job reports being positive and strong corporate earnings also purveying, this market could conceivably continue to run for a while longer. Making emotional moves about short-term movements in the market is speculating, not investing. During the current 8-year bull market run there have been many geopolitical and economic events leading people to think that might be an appropriate time to sell equities. These events which have been sources of investor uneasiness include the Flash Crash, European Debt Crisis of 2011, Fiscal Cliff, Ebola virus, Chinese stock crash in the summer of 2015, the worst January in history for the S&P 500 index in 2016, Brexit, and most recently the US presidential election. Typically the media overreacts to these events and their correlation to long-term stock market performance which gives people reason to believe this will lead to the end of the current stock market run or cause global market slowdowns. The point being made is if you had listened to the “experts” or “talking heads” during these events you would have likely acted emotionally and missed a good portion of a healthy equity market over the last 8 years. Instead of speculating on when the next pullback will be, we preach that investors can do things to mitigate certain risk that is inherent with exposure to the stock market. At the top of this list is broad diversification. Owning thousands of different companies of different sizes around the world is one of the only free lunches in investing. Different asset class sectors and industries move differently in different market environments, and owning some of each can help minimize the overall volatility of a portfolio versus trying to pick a handful of stocks or continually bouncing in and out of the market. Secondly, understanding your own particular needs will go a long way in helping mitigate some risk. We preach that it is critically important to develop a game plan for saving and clearly define goals or spending needs before entering retirement. This exercise can ensure your asset allocation (%stocks/%bonds) is aligned accordingly to avoid subjecting your nest egg to additional, unnecessary risk. We encourage people who are entering retirement to have anywhere from at least 7-10 years’ worth of shortfall expenses in safe, conservative fixed income to weather market downturns or short-term volatility. Lastly, it is important to remove emotion from the investing process. This can be done by implementing a disciplined trading strategy that uses mathematical formulas and not human emotion to systematically rebalance a portfolio. A strategy employed by Lutz Financial sells asset classes which have performed well relative to the rest of the portfolio and subsequently purchases asset classes that have decreased or lagged behind the overall portfolio on a relative basis. This is one of the harder things to do in investing because it is often counterintuitive or goes against conventional wisdom. Why Play The Guessing Game? We do know this bull market will end with a correction at some point. Will that be in 6 years or 6 days? You don’t have to have some magic crystal ball to predict when this will happen to have the successful investment experience that a diversified portfolio will hopefully allow. You can weather the short-term downturns of the market that are certain to occur by maintaining a long-term, disciplined investment philosophy and allowing yourself enough intermediate-term sources of liquidity to avoid having to sell equities at the wrong time.